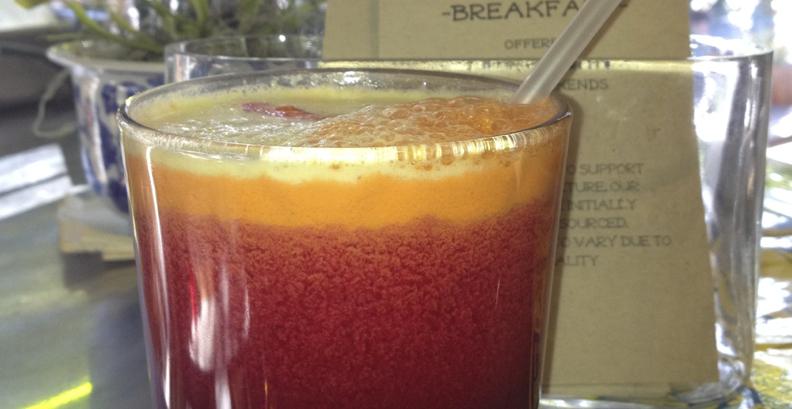 All of our juices are made to order from the freshest fruits and vegetables we can get our hands on. Order one and experience the difference. They leaver you feel full of energy, light and refreshed! Carrot, kale, cucumber, apple and spinach. Cucumber, apple lemon and mint. Fresh pineapple, spinach, banana, lime and coconut water. Strawberries, beets, orange juice and mint. Orange, lemon, apple and pear.